Plan ahead and protect your bet with Inter v Juventus Betting Offer! 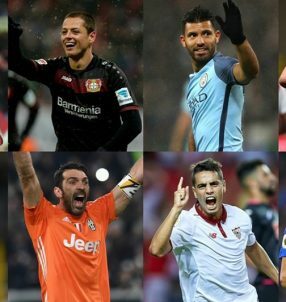 Intertops offers you a Stake Back up to $100 in Free Bets in case a penalty is awarded during the Serie A encounter between the Nerazzurri and the Bainconeri this weekend. The Inter v Juventus Betting Offer will ensure your bet on the match doesn’t go to waste, should the referee hand a spot kick to either side. Hey, we all know how Italian football can be, right? So, better to be safe, than sorry! Bet on the match this Sunday (September 18) and make sure to use the following Bonus Code: WEEKLYSB. If a penalty is awarded during the game, you’ll be able to claim your Free Bets up to $100 on Monday (September 19) via email. 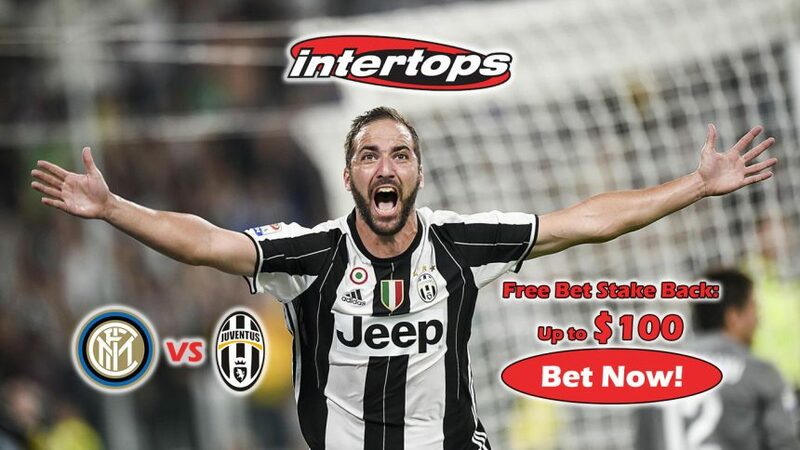 Open an Intertops account now and place a wager with Inter v Juventus Betting Offer! Despite playing at home the Nerazzurri are big underdogs 4.00 (+300), while the Bianconeri have once again been given favourite status 1.90 (-111). A draw between the two stands at 3.25 (+225). Gonzalo Higuain has seen a great start to his career with the Bianconeri, following his €90 million switch from Napoli last summer which made him the most expensive South American signing in the history of the sport. So far in the first three Serie A outings, he’s found the back of the net three times – once against Fiorentina and a brace against Sassuolo – matching his goals per appearances. If the Argentine stays injury-free and maintains his incredible form all throughout the season, he could be hitting the same numbers from his final year at the Stadio San Paolo. After netting an incredible 36 goals in 35 Serie A appearances, Higuain broke Gunnar Nordahl’s long-standing record of 35 goals in the Italian top flight that stood since 1949/50. Considering his scary prowess in front of goal, it’s highly likely Higuain’s name will appear on the goalscoring sheet yet again (possibly several times over) when Juventus visit Inter at the San Siro this weekend. Back your favourite side for Sunday’s clash and collect up to $100 in Free Bets, in case a penalty is scored during the game with Inter v Juventus Betting Offer! Insure your bet with Inter v Juventus Betting Offer!